JUNO nominated composer John Estacio is the 2017 Lieutenant Governor of Alberta Distinguished Artist Award. He has served as composer in residence for the Edmonton Symphony Orchestra, the Calgary Philharmonic, the Calgary Opera, and Pro Coro Canada. His residencies yielded numerous orchestral works, several of which appear on "Frenergy, the Music of John Estacio", released by CBC Records. Estacio's Trumpet Concerto, commissioned by 19 Canadian orchestras; was performed across Canada in the 2017/18 season. His "Moontides", commissioned by KV265, was premiered by the National Youth Orchestra of Canada with Jonathan Darlington and toured across Canada and Europe. The last decade has seen Estacio focus on operatic works. Together with librettist John Murrell, he was written four operas including “Lillian Alling” which premiered in October 2010 by the Vancouver Opera. “Filumena”, his first opera, premiered in 2003 in Calgary and Banff and went on to receive four Betty Mitchell Awards including the award for outstanding production of musical theatre work. Additional productions soon followed in Ottawa and Edmonton. “Filumena” was filmed for television and has been broadcast on CBC and PBS. Canada Post commemorated "Filumena" in 2017 with its own stamp as part of the Canada Opera stamp collection. “Ours” was written to a libretto by Robert Chafe and commissioned by Opera on the Avalon in Newfoundland and premiered in 2016 with a remount in 2018. 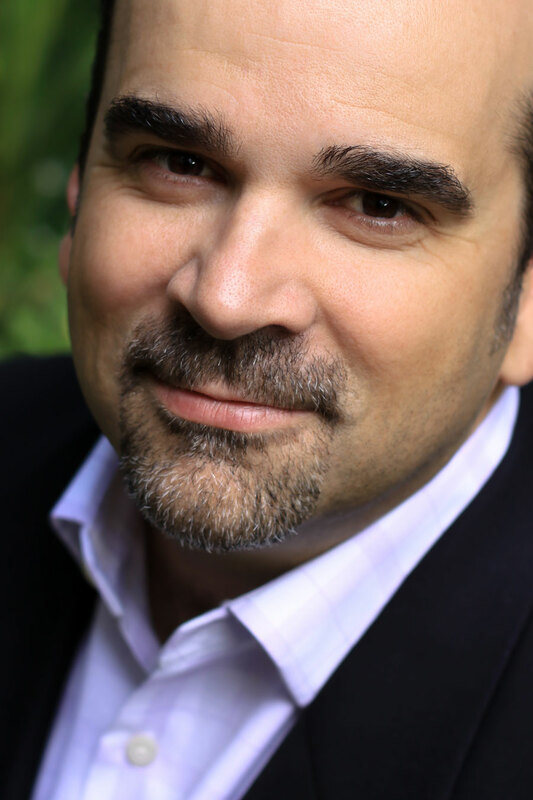 Estacio composed an orchestral score for Cincinnati Ballet’s original production of “King Arthur’s Camelot”. With choreography by Victoria Morgan, the ballet premiered in Cincinnati February 2014 and was remounted in 2017. Baritone Russell Braun and violinist James Ehnes premiered “Away and Awake in the Night”, a new song cycle in the spring of 2013. Estacio is the recipient of the NAC Award for Composers which resulted in three commissioned works for the National Arts Centre Orchestra, the first of which, "Brio", was premiered in Ottawa and performed throughout the Atlantic provinces, China and the UK. Estacio's woodwind quintet, "Sinfonietta", premiered in Nottingham by the Winds of the NACO. In 2017, the NACO and conductor Alexander Shelley toured across Canada with his orchestral work “I Lost My Talk”, inspired by Rita Joe’s poem and commissioned for the Right Honourable Joe Clark on the occasion of his 75th birthday. Other awards include an AMPIA Award for his film score for “The Secret of the Nutcracker”, and his frequent performances and broadcasts have earned him several SOCAN Concert Music Awards. He received his fourth JUNO nomination for his “Triple Concerto for Violin, Cello, Piano and Orchestra” in the category of Outstanding Composition of the Year (2015). His works have been performed at Carnegie Hall, including performances by the Toronto Symphony Orchestra, and a performance of his Triple Concerto in May 2012 by the Edmonton Symphony. The Richard Eaton Singers toured Europe with his new choral work branche. The Royal Winnipeg Ballet featured several of Estacio’s orchestral works in a new ballet "Wonderland" with choreography by Shawn Hounsell. During the past few seasons, the National Youth Orchestra of the Americas toured the US and Canada with Bootlegger's Tarantella. The Los Angeles Philharmonic, along with acclaimed tenor Ben Heppner, toured Europe with Estacio’s arrangements of Seven Songs of Jean Sibelius. In 2008, the Vancouver Bach Choir, the Richard Eaton Singers, Chorus Niagara and the Grand Philharmonic Choir premiered his cantata The Houses Stand Not Far Apart. His orchestral works have been performed by all the major Canadian orchestras, as well as the Houston Symphony, St. Louis Symphony, Rochester Philharmonic, Fort Wayne Philharmonic, and orchestras in Europe and Asia. His popular orchestral work, Frenergy, has been transcribed for band and published by Boosey and Hawkes.